I was so stoked to work this wedding as Shaheen chose two of my favorite vendors from my own wedding :) The officiant was Reverend Judy Winkler! The flowers were done by Linda Rendon, and they were SO VIBRANT! 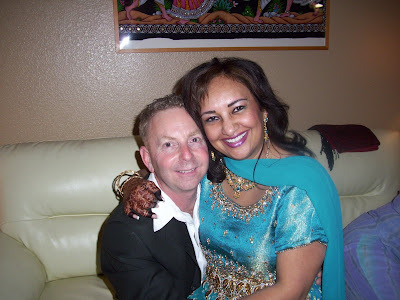 Be sure to check out Shaheen's henna, from the mehndi the night before the wedding. What is mehndi? Mehndi is the art of applying Henna on the body. It is a beautiful form of temporary body decoration. Mehndi is a traditional form of decoration for both men and women in countries such as India, Morocco, and Pakistan. It is generally used for special occasions, particularly weddings. Love it! I love black and white pictures!